(VOVWORLD) -Vietnam has full legal foundations and historical evidence to assert its sovereignty over the Hoang Sa (Paracel) and Truong Sa (Spratly) archipelagoes, which is in line with international law. Spokeswoman for Vietnam’s Foreign Ministry Le Thi Thu Hang. 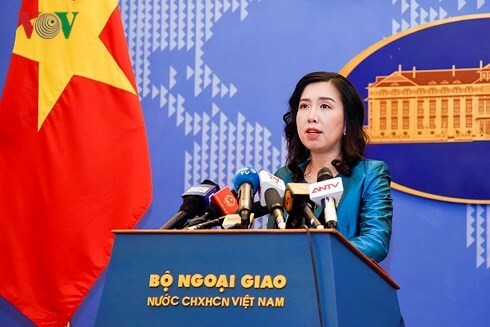 Le Thi Thu Hang, the spokeswoman for Vietnam’s Ministry of Foreign Affairs, said China’s organization of activities to mark the 6th anniversary of the so-called Sansha city not only grossly violates Vietnam’s sovereignty over Hoang Sa and Truong Sa archipelagoes, but also runs counter to the agreement on basic principles guiding the settlement of issues at sea between the two countries, does not match the important common awareness of high ranking leaders of the two countries, the good management of disputes at sea as well as the fine development of bilateral ties. These acts are detrimental to the Declaration on Conducts of Parties in the East Sea and unbeneficial to negotiations between ASEAN and China on a Code of Conduct of Parties in the East Sea as well as to peace, stability, cooperation, and development in the East Sea and the wider region. Vietnam vehemently protests and demands that China stop its activities, respect Vietnam’s sovereignty over Hoang Sa and Truong Sa archipelagoes, seriously implement the Vietnam-China agreement on basic principles guiding the settlement of issues at sea and the Declaration of Conducts of Parties in the East Sea, refrain from making the situation more complex, and contribute in a practical and active manner to developing the friendship and comprehensive cooperation between Vietnam and China for peace, stability, and cooperation in the East Sea and the wider region. A representative of the Vietnamese Foreign Ministry has met a representative from the Chinese Embassy in Vietnam to raise the issue. Ms. Hang made the remarks in response to reporters’ questions regarding China’s recent activities in the area, including celebrations marking six years of the so-called “Sansha city” and installing wave monitoring devices on Phu Lam island. Meanwhile, China Central Television’s (CCTV) children’s channel recently organised a reality TV show for kids on the Hoang Sa archipelago. 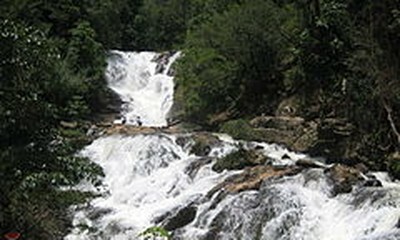 The Sun Yat-sen University of China also conducted a series of scientific surveys on the Hoang Sa islands.